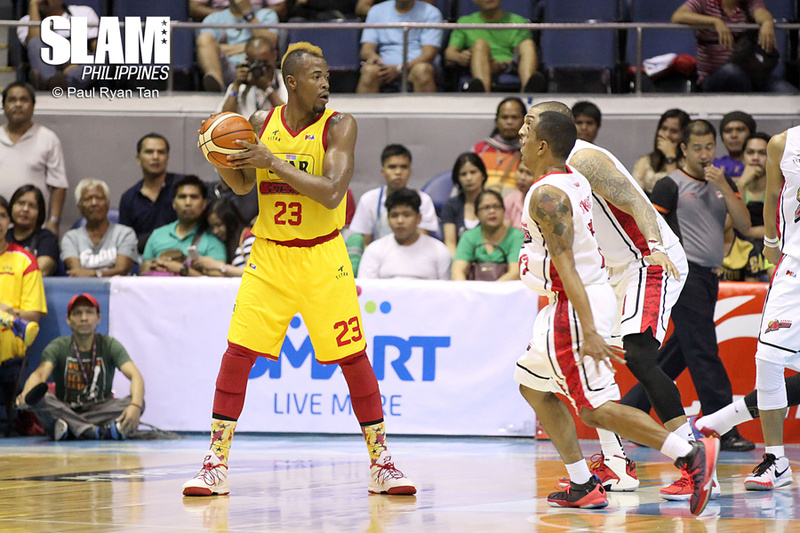 At the 2:32 mark of the fourth quarter, the Star Hotshots found themselves trailing by seven against the Alaska Aces. Not exactly a big concern right? After all, with a stacked roster that includes former Best Import Marqus Blakely, a comeback by the defending conference champions was more than possible. However, on the next offensive sequence, the Hotshots went gun-shy, resulting in a shotclock violation. This is very uncharacteristic, to say the least, with five players who can all put the ball into the basket – Blakely, James Yap, Mark Barroca, Joe Devance, and even Marc Pingris. But none dared to take a shot before the buzzer sounded. This may not have been the last possession of the ballgame, but it might have been the most important one for the Hotshots. Coming off a defensive stop, a score by Star would’ve shifted the momentum to their side. But they didn’t. And though the Star Hotshots still had some cracks at making this ballgame an interesting one, this violation stymied their drive and only added to the team’s 21 turnovers by game’s end. The Aces had a field day with those miscues, converting them into 27 points in a 92-86 victory, In the process, the Star Hotshots tumbled to their fourth straight setback and are now in a three-way tie with the NLEX Road Warriors and the Blackwater Elite for last place. It wasn’t just turnovers that doomed Star to the cellar. The Hotshots have been struggling to score, norming just 85.3 points per contest, while ranking as the worst three-point shooting team with just a 25 percent clip. To top it off, on a team that prides itself on using the triangle offense, which is predicated on passing, the Star Hotshots only compiled 14 in this match compared to Alaska’s 22. And this is no fluke, as they averaged just 16 extra passes in the three assignments prior to this one. Had these numbers been committed by an expansion such as KIA and Blackwater, it would have been expected. But to a reigning conference champion, with essentially the same line-up? It becomes a whole different story. It may not be the crucial juncture of the elimination round just yet, but in order for the Star Hotshots to avoid missing out on the postseason completely, they’ll need to go on a lengthy win streak. And though they are set to meet rookie side KIA on Saturday, the going won’t be easy for the Star Hotshots as the Carnival are currently riding on a two-game winning streak and are in the upper part of the standings with a 3-1 record.